EML to MSG Conversion Tool! Batch Conversion of EML files to MSG. Along with EML to MSG, the EML to MSG Converter software converts EML files in more than six file formats. First screen of software have two options. Select option to create new collection. EML to MSG file migrator tool asks you to give details to create collection. Click on scan file option. Select EML file and browse file local computer. Convert eml file to msg software scans & loads file instantly(depends on file size). Preview scanned eml file emails in 8+ preview modes provided by the software. Software provides search option embedded with logical operators to performs queries on scanned data. For selective conversion select desired emails & right click on them to export. Choose MSG file as output and use export option to optimize the result. Provide location to save result at desired location. Then after click on OK to complete the process. I am working as Technical Manager in government organization. It engages in dealing with international clients to make them to contribute in Digital India Empowerment. While communicating with them, we have to take care of each and every aspects about data such as integrity and confidentiality. With the current email client, I have experiencing worst things daily as a result of which individual productivity of an employee declined which have negative impact on the organization as a whole. I want to integrate our large amount of data (20GB) dealing with such email clients which is robust in nature and have variant set of features. Time taken to completely convert the eml files to msg? Is there any possibility to recover deleted data? What are the security mechanisms follows while conversion? In a business setting, e-mail saves time and certainly has the capability to streamline communications and operations. With the advancement in technology, the complexity also increases proportionally. 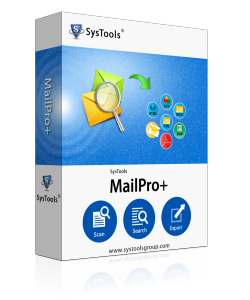 To make the task easy one can prefer alternative solution available in the market and one of such solution is EML to MSG converter Tool. This EML to MSG Migrator tool easily conquers all problems of the user in one go. The EML to MSG conversion tool is made with such ease that anyone can use without having any technical background. Is it mandatory to install Outlook for the Conversion Of EML to MSG? No, It is not necessary to install Outlook for the conversion process but to view the MSG files you need outlook. Can I also convert corrupted EML files to MSG?? Yes, You can definitely convert your corrupted EML files data to MSG. Is the timestamp of converted emails remains after the conversion? Yes, The EML to MSG Converter Software itself make the changes according to current timezone UTC. The all time great EML to MSG migrator tool I have ever used in my life! To convert all of my data in a convenient manner. My searching end with this EML to MSG Convertor Software, when I use this EML to MSG Migrator Software personally then I understand the importance of it. I am very grateful to EML to MSG developer Team for their marvelous effort to make life easy. EML file format is corresponding to Outlook Express but EML files easy to opened with a wide range of email clients like- Apple Mail, IncrediMail, Mozilla Thunderbird, Microsoft Entourage, Microsoft Outlook Express, Windows Mail and Windows Live Mail.When the user wants to use and opens the EML files in Microsoft Outlook, then it is not possible to open and view the EML email.For this, we need to convert EML file to MSG files (MSG files supported by Microsoft Outlook).Conversion of EML to MSG is very time-consuming and tedious process.Therefore to convert all the data in a professional way therefore need of external conversion tool is mandatory.